Dr. Michael Sinel is an expert on spinal disorders and back pain. Additionally, he is an author and published multiple books under his name. Dr. Michael Sinel is also an Assistant Clinical Professor at the UCLA Department of Medicine. Right after the completion of residency at New York Hospital/Cornell University Medical Center in New York City, he received board certification in Physical Medicine and Rehabilitation. When it comes to his professional career, then he has always been a great professional, and he has worked closely with his patients in multiple private practice sessions. He has helped all of his patients to overcome the pain and loss of the mobility from spinal disorders. Dr. Sinel also serves as an Assistant Clinical Professor at the University of California Los Angeles (UCLA) School of Medicine. 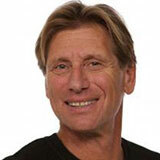 At UCLA, he also offered electives on yoga therapy and meditation to medical students for over 20 years. If you look at his educational path, then Dr. Michael Sinel MD started his educational path by attending Stony Brook University in 1977. He then graduated with a degree of Bachelor of Arts in Psychology with Honors in 1981. After completing the degree, he straight away entered the medical program at the State University of New York at Downstate Medical Center which is located in Brooklyn, New York. In 1985, he earned his Doctor of Medicine (MD) from the school. He has gone through multiple internship programs and residencies. After getting his MD degree, he straight away started a general internship at Staten Island University Hospital in New York. He followed this internship with a three-year residency in Physical Medicine and Rehabilitation at Memorial Sloan Kettering Cancer Center and New York Hospital. He also joined Physician staff at Cedars-Sinai Hospital in Los Angeles, and he served as the Director of Outpatient Physical Medicine. He has a great professional career as a specialized back pain doctor.